Do you want to save some money on health foods, well-being products and other healthy lifestyle products? I went an extra mile for my readers and gathered all the discounts that I could to create this page. Some of the discounts are not available anywhere else as some companies agreed to offer special discounts for my readers only. I am regularly updating this page as some offers are limited-time only so do come back to see what’s new! I am also adding new discount codes as soon as I get hold of them. The UK’s most loved organic beauty brand. Using the finest natural and organic ingredients, Green People products never contain harsh chemicals and are suitable for sensitive skin. Their wide range of products caters for the whole family, including men and teenagers. 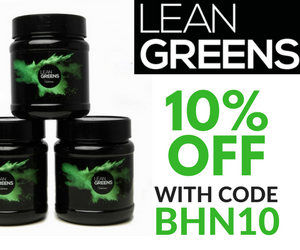 Get 15% off by using the voucher code HEALTHY15>>. LoveLula brings together an unparalleled selection of the world’s finest natural and organic beauty products. 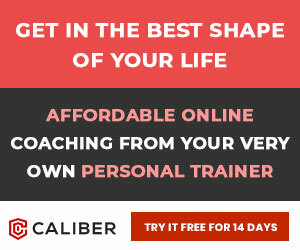 Get 15% off your first order + FREE gift>>. Bodykind has been successfully supplying premium quality natural products since 2004. They only stock the finest quality brands to ensure you enjoy the very best natural food, health & beauty products. Use promo code: X4JFP (expires 30/04/2019), click here to activate. Abel & Cole is one of the pioneers of organic food retailing in the UK – they’ve been delivering organic veg for over 20 years, so they really know our onions. They deal directly with farmers, makers and bakers to deliver to customers every week. The UK’s largest fully certified organic supermarket, Planet Organic offer organic food delivery across the UK and Europe. UK’s #1 Greens Powder, great in smoothies. Thryve is the world’s first Gut Health program that incorporates both Gut Microbiome Testing and Personalized Probiotics. You can get 15% off by using the code behealthynow15. Click here to visit the website. Medichecks offer a wide range of private blood tests and health screenings. Their home tests are easy to use and you get the results within 3 days. 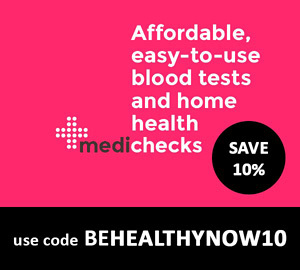 Get 10% off with a code BEHEALTHYNOW10. Click here to activate.